Silver Sponsor of UBFIT 2018. From left: UBFIT Organizing Co-Chair Sean Bastian; Chairman of National Health Insurance Authority Board, Dr. Robin Roberts; UBFIT Organizing Chair Kandice Eldon, National Health Insurance Authority Financial Controller, Patrick Hanlan and National Health Insurance Authority Legal Officer, Kathy Smith. Suntee the exclusive printer for UBFIT 2018. From left: SunTee President Scott Farrington, Sales and Marketing Manager Loretta Francis, UBFIT Organizing Chair Kandice Eldon and UBFIT Organizing Co-Chair Sean Bastian. Nassau, BAHAMAS – Blue powder, family fun, Bahamian entertainment and a scenic beach backdrop will make the 2ndAnnual UBFIT New Providence race, hosted by University of The Bahamas, a memorable, fitness focused community event. On Saturday, 7th April, 2018 beginning at 6:00 a.m., hundreds of participants are expected to run, walk, bike and skate along the 5K and 10K race routes. The funds raised will be used to support special needs mobility at UB campuses. Recognizing the need for a healthier Bahamas, the corporate community is enthusiastically collaborating with UB to make the 2nd Annual UBFIT another successful undertaking. For the second consecutive year, Generali Worldwide is the title sponsor. “At Generali, one of our core values is ‘Live the Community’. We continue to support UBFIT because we value the importance of health and wellness and creating opportunities for our community to become healthy. We also “value people” at Generali, and proceeds from UBFIT are directed toward transforming the university’s campuses so they are more accessible to students with special needs. We think this is very important in helping to make the university experience for such students a positive one,” said Generali Health Promotion Associate Shaundra Sawyer. 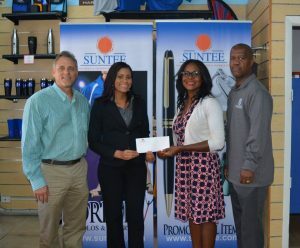 SunTee, the promotional marketing company for the event, is also a committed corporate partner. “SunTee is honoured to partner with UBFIT by providing promotional apparel and products. SunTee strongly supports health and wellness initiatives throughout The Bahamas, and UBFIT promotes active living. It is another amazing opportunity for us to give back to our community,” noted Sales & Marketing Manager Loretta Francis. This year, UBFIT evolved to incorporate the 12-week Road to Wellness programme which included healthy cooking demonstrations, high impact fitness classes, Couch to 5K walking challenges and lectures focused on health, fitness and life goals. “Saturday, 7th April, 2018 is the culmination of this first successful Road to Wellness initiative in which many participated, attended the classes focused on the fitness journey and lost weight while increasing their fitness levels. When they cross the UBFIT finish line, they will have a true sense of accomplishment. 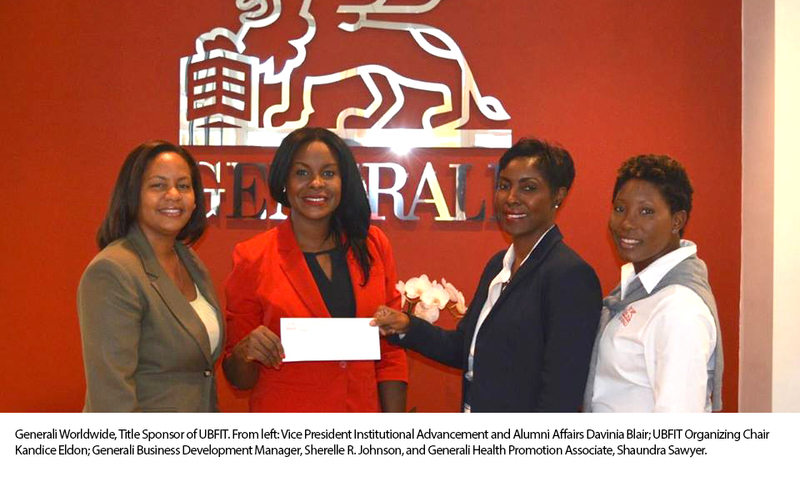 We are so grateful for the University taking the lead in this endeavour and the many corporate sponsors joining us in the fight to reduce chronic non-communicable diseases in the country,” said UBFIT Organizing Chair Kandice Eldon. 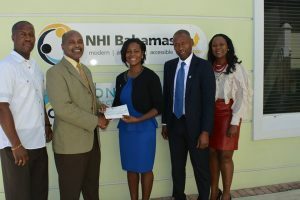 Excited by the level of support from Corporate Bahamas for the 2018 event, Mrs. Eldon reported that more than $40,000 in sponsorship and in-kind donations had been raised up to a week before the big race. The Race Village at UB’s Oakes Field Campus will feature post-race performances by Bahamian entertainer D Mac and African dance with Samantha Pratt as well as a health expo and a kids’ corner which includes a bouncing castle and face painting.